The detached Luxner house is located in a stunning spot, halfway up the Gerlosberg Mountain and not far from Zell am Ziller. This newly-built holiday home is situated on the ground floor and can be reached through your own entrance, privacy guaranteed! Everything is completely new and stylishly furnished. 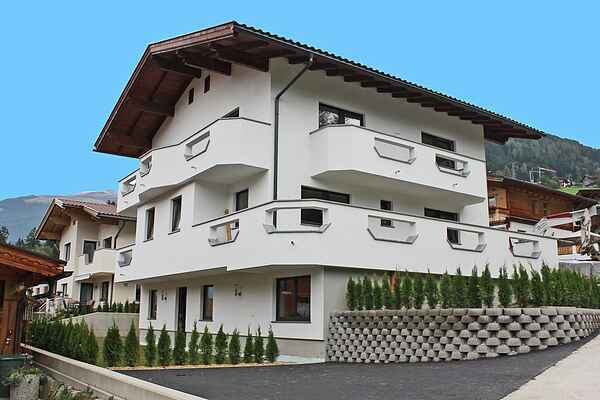 You have no less than three bedrooms, a modern bathroom and an indoor ski storage with ski boot heaters. In front of the house is a nice, sunny terrace . The free ski bus stops practically on your doorstep and will bring you to the largest ski resort of the Zillertal in only a few minutes. You will also really enjoy yourself in the summer months; various hiking trails start right outside the holiday home.